Highly enthusiastic, and a natural entrepreneur, the Crow is quite a charmer. But he/she doesn't have to work at being charming Ð it comes easily. 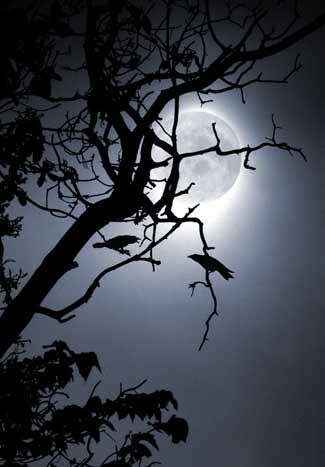 Everyone recognizes the Crow's easy energy, and everyone turns to the Crow for his/her ideas and opinions. This is because the Crow is both idealistic and diplomatic and is quite ingenious. In nurturing environments this Native American animal symbol is easy-going, can be romantic, and soft-spoken. Further, the crow can be quite patient, and intuitive in relationships. Left to his/her own devices, the Crow can be demanding, inconsistent, vindictive, and abrasive. 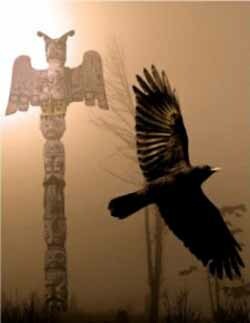 Crow is surrounded by magic, unseen forces and spiritual strength. Crow represents transcendence. Crows are messengers, telling us about the creation and magic all around us, that is available to us just for the asking. Look for opportunities to bring into being the magic of life. The striking black color of the crow represents the color of creation. It is the womb out of which the new comes into existence. Black is the color of the night, giving birth to the light of a new day.